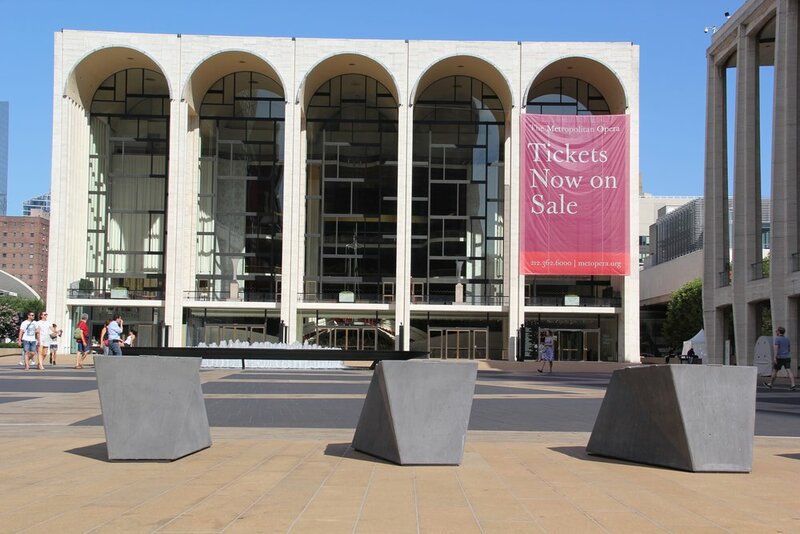 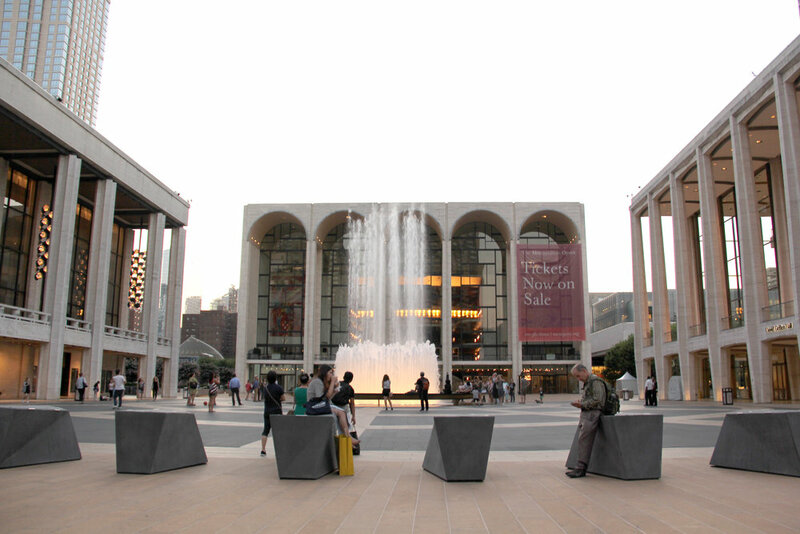 Faceted bollards were designed as a more sculptural approach to a security perimeter for the newly renovated Lincoln Center plaza. 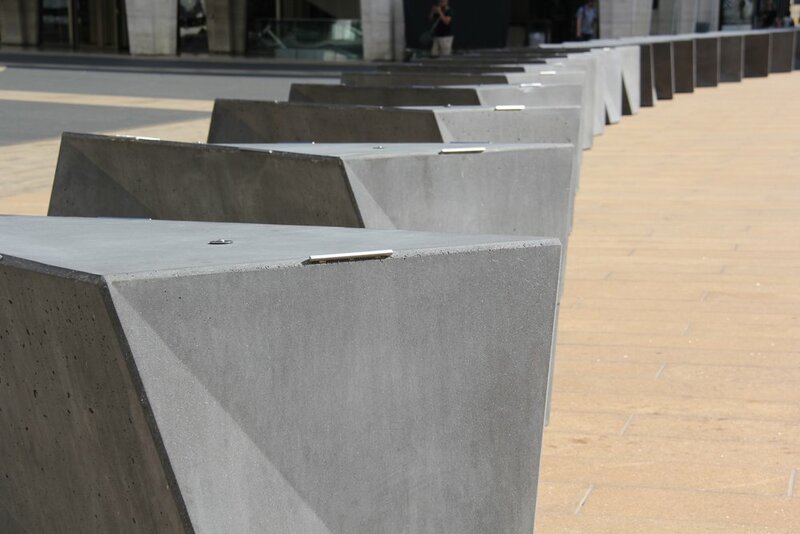 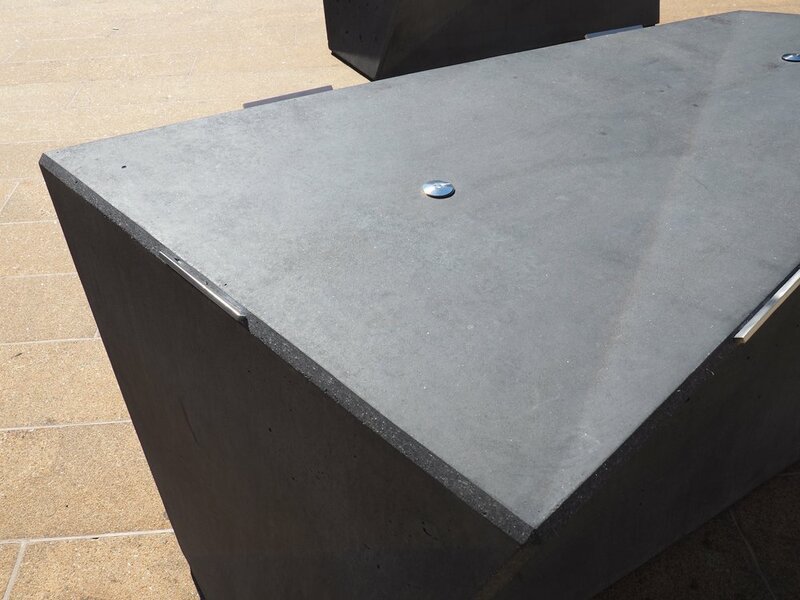 While cast as a UHPC shell for the performance requirements for high abrasion and blast resistance, they encapsulate solid concrete to meet the weight specification for barriers. 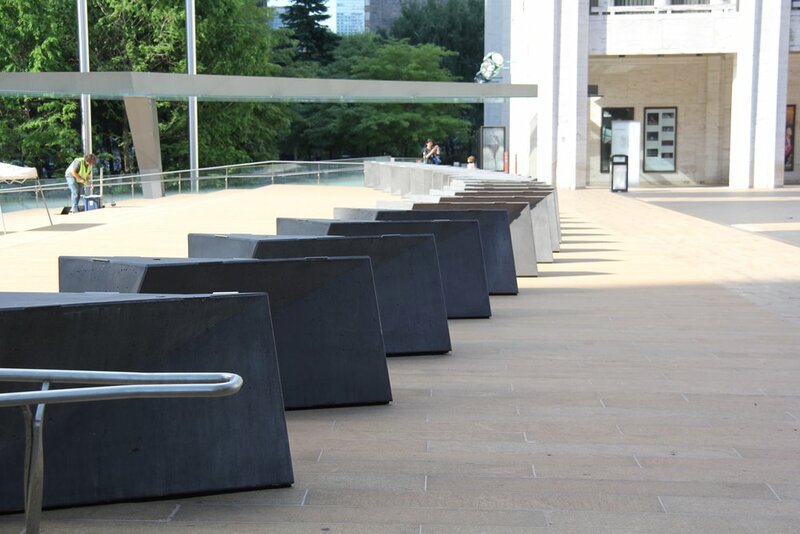 A special design mix was used to add a slight iridescence to the bollards enhancing their dramatic presence in the plaza.